Even though Arizona is mostly desert, it does have places where water is apparent. 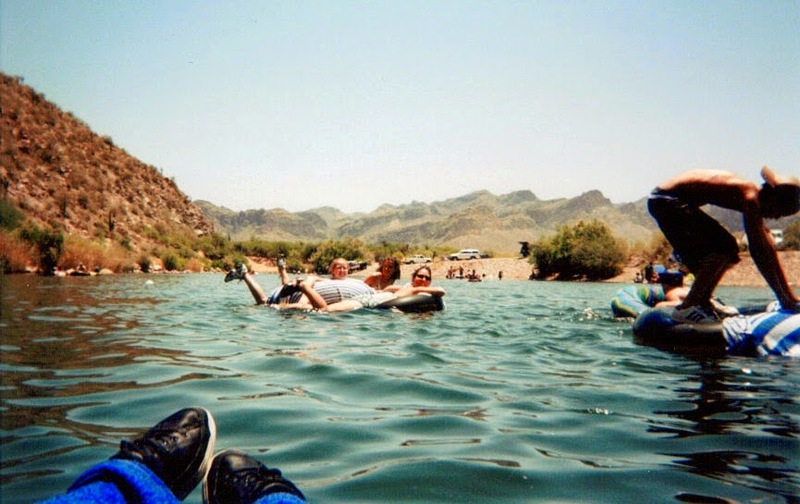 There are many lakes and rivers to cool off in along with a few water parks. 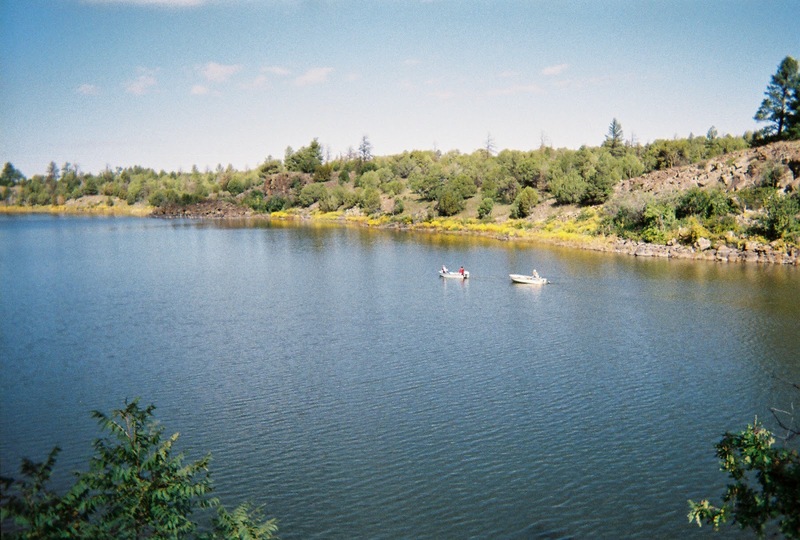 Some of the more popular and larger lakes are: Bartlett Lake (48 miles from downtown Phoenix), Bear Canyon Lake (near Payson), Canyon Lake (51 miles east of Phoenix), Fool Hollow Lake (near Show Low), Lake Havasu (Lake Havasu City), Lake Powell (between Arizona and Utah borders), Lynx Lake (near Prescott), Lake Pleasant (north of Phoenix), and many more. 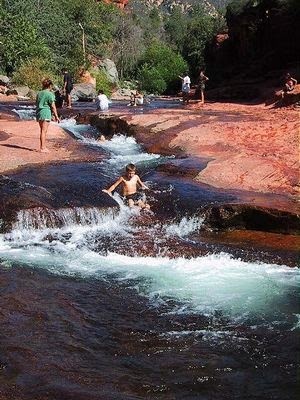 Another fun place to cool off is Slide Rock located in Oak Creek Canyon near Sedona. Sadly this place experienced a horrendous fire, but is back open and in business. 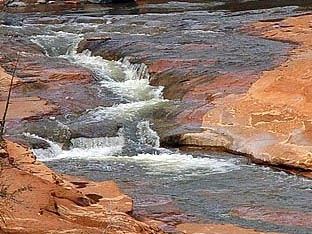 Slide Rock State Park got its name from the natural water slide formed by the slippery bed of Oak Creek. 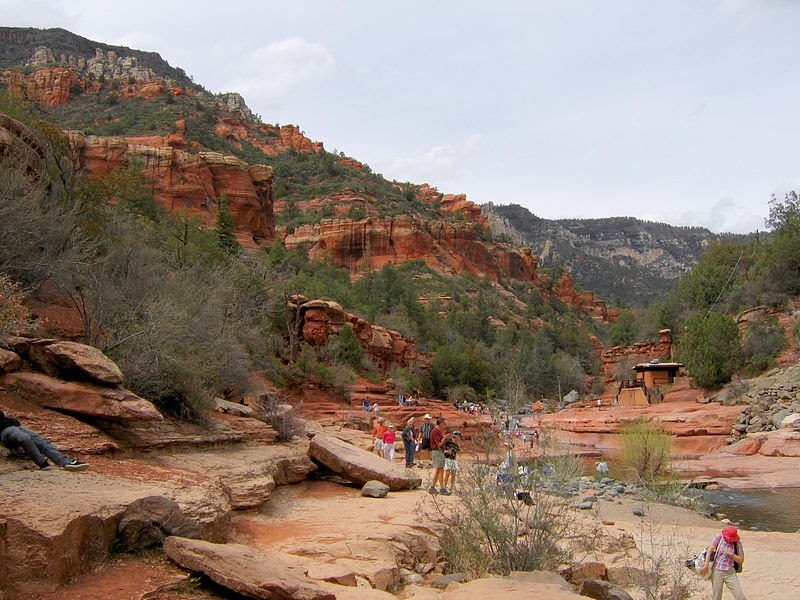 It is located in Oak Creek Canyon and only 7 miles from Sedona. In 1907, Frank L. Pendley developed the land and obtained a title under the Homestead Act in 1910. He created an irrigation system which watered his apple orchard. The road through the canyon was finished in 1914 and Pendley took advantage of the traffic and built the tourists cabins for them to rent. On July 10, 1985 the Arizona State Parks acquired the park and two years later Slide Rock State Park was dedicated. On December 23, 1991, the Pendley Homestead Historic District was placed on the National Register of Historic Places. His apple farm is still maintained today. 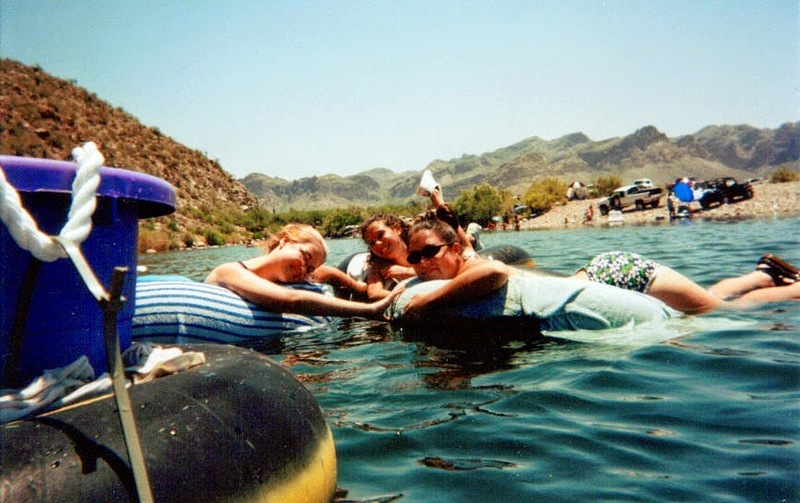 One of our Arizona traditions is to go tubing down the Salt River. 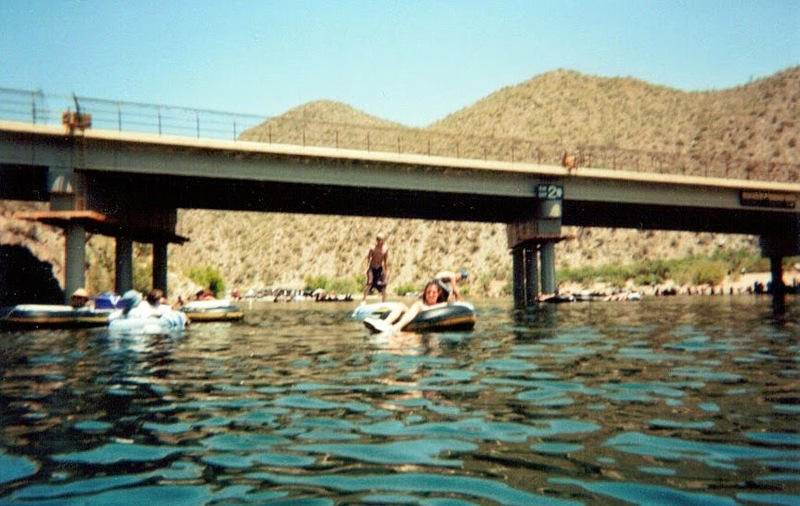 You usually go with several friends and family and head down to the Lower Salt River. The first thing you do is to park at the place where you rent tubes and then grab a bus to take you upstream to the higher elevation to get started. There is usually a crowd of various types of people of all ages and sometimes they bring their pets. I don’t recommend that because those poor animals are terrified of being on the river. I also don’t recommend stringing tubes together. That will just get you into all kinds of trouble on the rapids especially when there is a fork in the river. More times than none, the entire group will hit the bank and fall off their tubes. We usually attached with our feet so when the rapids move faster, we could unhook and go solo. We would have one person attached to the cooler which had its own tube and another person would be attached to the plastic container which usually carried the dry foods, suntan lotion and other items. There are several clever people that will attach a stereo to a tube providing music so we can jam down the river. We usually will stop mid-way at the bridge to take a break from tubing. We use this time to eat and reapply our suntan lotion. It is fun but not without problems. You are basically floating on top of a tube for at least four hours, baking in the harsh sun. You must have plenty of lotion, a tee shirt to cover your shoulders later on, a towel to cover your legs later on, a hat and sunglasses. You should have plenty of water to stay hydrated along with other beverages. We usually bring beer but drink responsibly. Spending the day tubing can be a fun day for all but you need to do it responsibly. I have my memories and they are good ones. If you find yourself in Arizona in the middle of summer, have no fear. There are plenty of places for you to take pleasure in cooling off, have a swim, or just go fishing. We do. Most of which are near great places to camp. Just reminds me to go and renew my fishing licences.